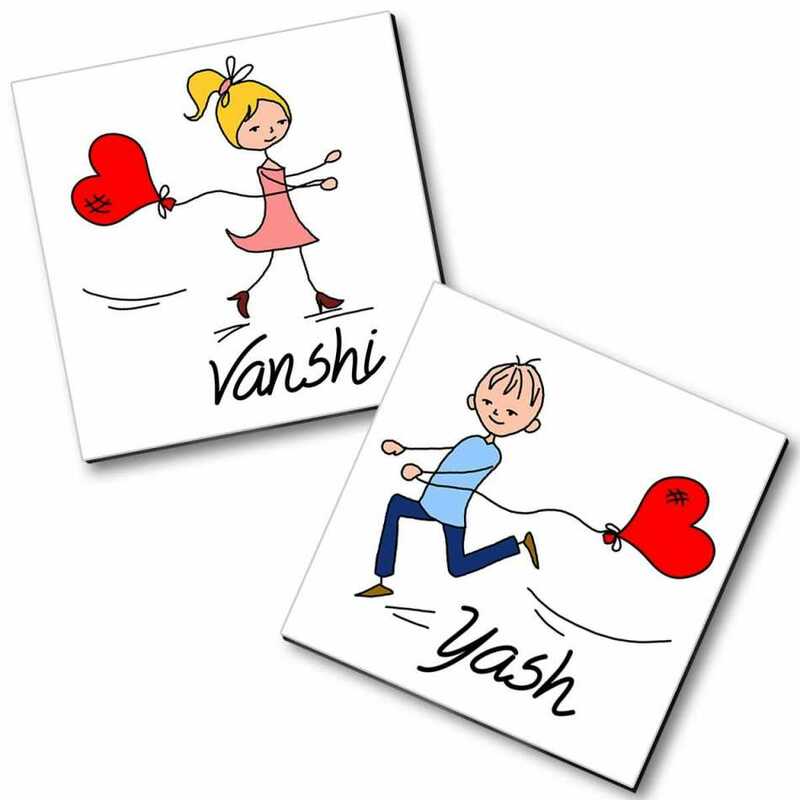 This exclusive set of custom designed magnets will portray the images of the romantic couple as cartoon images which are hand drawn elegantly by authentic artists to recreate an appealing outlook. It's a set of two personalized fridge magnets. 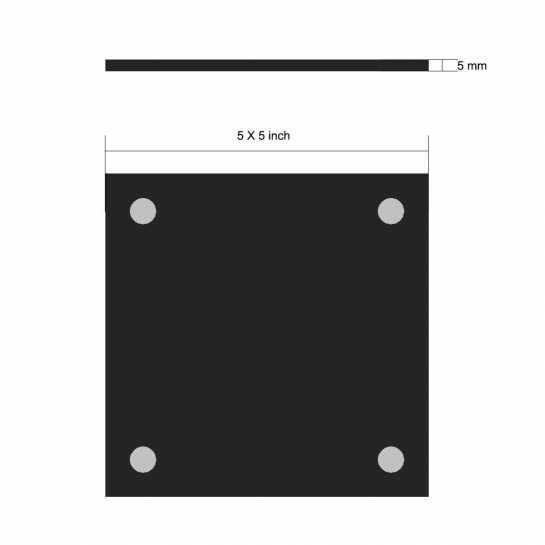 The template of the design is shown in the product photo. You can replace the sample photos with your own photos and messages to create a beautifully designed personalized magnet. Incase you don't wish to use the template shown, and want an entirely new design of your own, its possible. You just need to send the design and that will be used to create the magnet. Better the quality of photos, better the outcome would be. We recommend you to send high resolution pics, which are clear and focussed. The photos will be cropped by our artist to fit the template. You need not worry how will it come out on the product, as we have artist who places your photos in the template. Its not an automatic process, so there are no chances of any mistakes. However if you wish, to see, how the magnet will look after we put your photos and messages, we can share the print file with you (on request). Incase the photos sent by you are not suitable for printing, we will get back to your asking for replacement photos. The magnets are bubble wrapped and packed in cardboard box, before shipping. In case the product delivered to you is damaged, we will immediately replace it with a new one. No questions asked. Just drop a mail to contact@dezains.com with your requirement or contact our customer care and we will assist you with it. However you cannot cancel the order, as its a personalized product. Q. How do I send the photos? And how do I know if its good enough for the printing? And can I send multiple photos and choose the best one? A. You can upload the photos in the 'product customization' section of this page. Upload your photos, Save the customization, and then add the product to cart. In case you wish to send more photos, you can send them after you successfully place the order. You can reply to the order confirmation email with more photos attached. Our artist will pick the best suitable one. If none of the photos are good enough, we would get back to you asking for better photos. Q. Can I see how does the product look after my photos and messages have been put ? A. We have skilled artists, who will replace the sample photos on templates, with the photos that you have given. They take care of the cropping and minor corrections as well. Its not an automatic process, so you should not worry about the placement of photos and messages. In case you still want to have a look at the final print file, we can share it with you (on request). Rest assured, that the photos that you sent, will not be used as it is, but cropped and fitted perfectly in the template, that too manually. Q. Can I ask for changes in the pre-defined themes? A. Yes, you can change the messages and photos, or send us an entirely new artwork to be printed. However, we won't be creating a new template, based on the idea your might present us. You need to give us the design to be printed. Q. How long will the magnet last? A. These magnets are very strong, and there will be no damage at all, even after many years. The printing is water resistant and it will remain intact for a very long time. However, placing it in direct sunlight will result in fading of the print after a while. For indoor use, there won't be an issue ever!